Do you need a little inspiration to start packing lunches again? 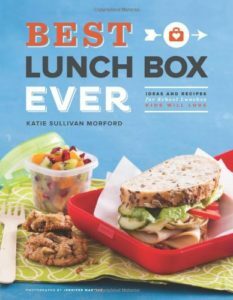 On Amazon right now you can get this great Best Lunch Box Ever: Ideas and Recipes for School Lunches Kids Will Love for just $14.47 – a 42% savings! Looks like they have some great ideas.